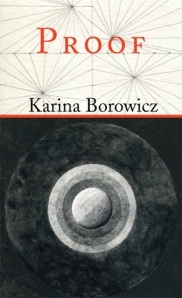 Karina Borowicz is the author of Proof (2014), winner of the Codhill Press Poetry Prize and National Poetry Series finalist. Her début collection, The Bees Are Waiting (2012), was selected by Franz Wright for the Marick Press Poetry Prize and named a Must-Read by the Massachusetts Center for the Book. Her poems have appeared widely in journals, including AGNI, Columbia Poetry Review, Poetry Northwest, and The Southern Review and have been featured in Poetry Daily, Verse Daily, and Ted Kooser’s American Life in Poetry Series. She has published translations from the Russian and the French. Trained as an historian, Borowicz also holds an MFA from the University of New Hampshire. She makes her home in the Connecticut River Valley of Western Massachusetts.